When learning about jungle and safari animals, the cheetah is always one for the first animals to be mentioned because of its speed, its agility and its unique physical look. 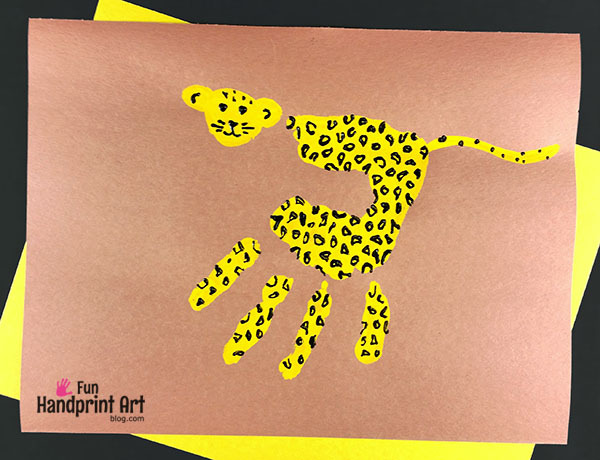 Here, we are making a cheetah craft for kids that is simple, fun and so beautiful. This easy safari craft idea is awesome! 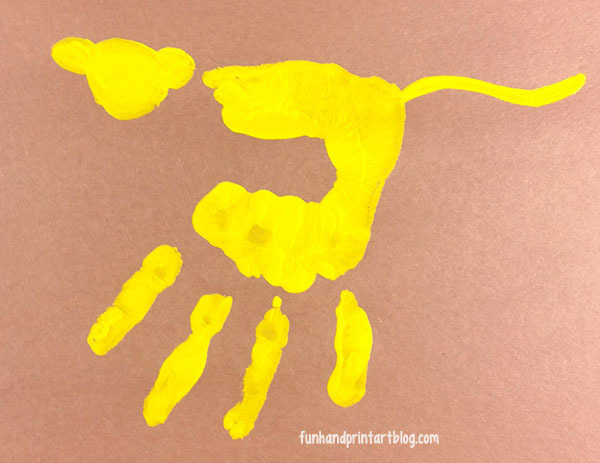 Your kids will love making a handprint cheetah to play with and to proudly display. It’s just so cool! 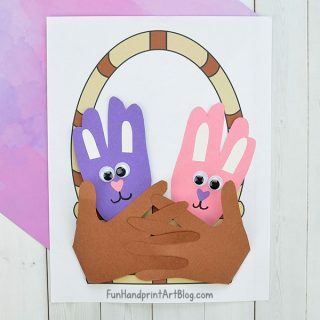 Don’t forget that you can also make more handprint jungle/safari animals. 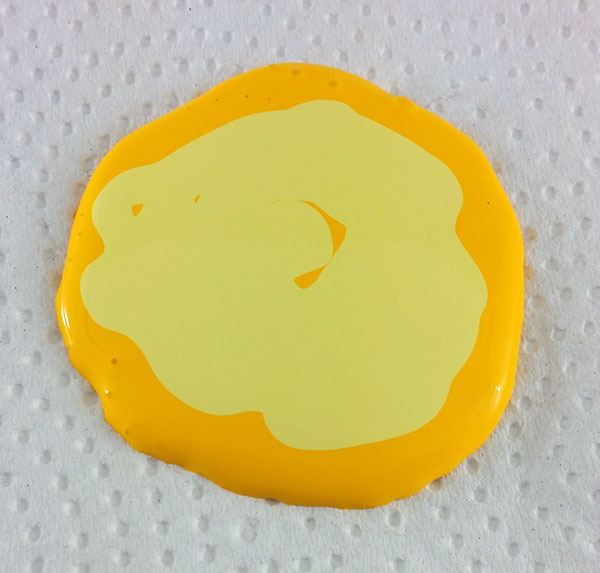 Mix the yellow and orange paint together, then cover your child’s hand and make a print. Use a paintbrush to draw the tail. 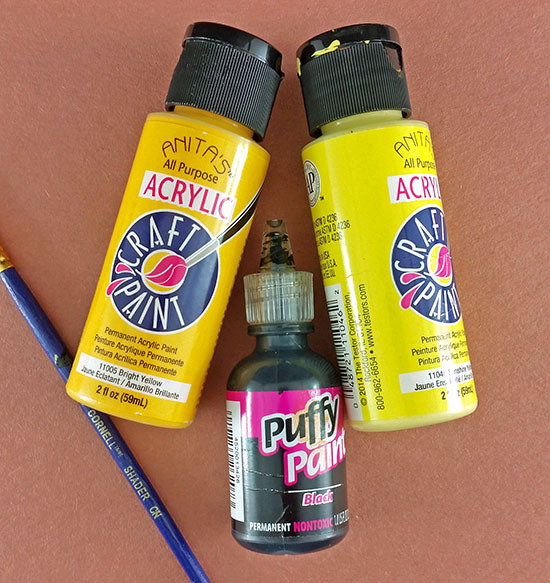 Once it dries, use the black puffy paint to create the face and spots, and you’re done! 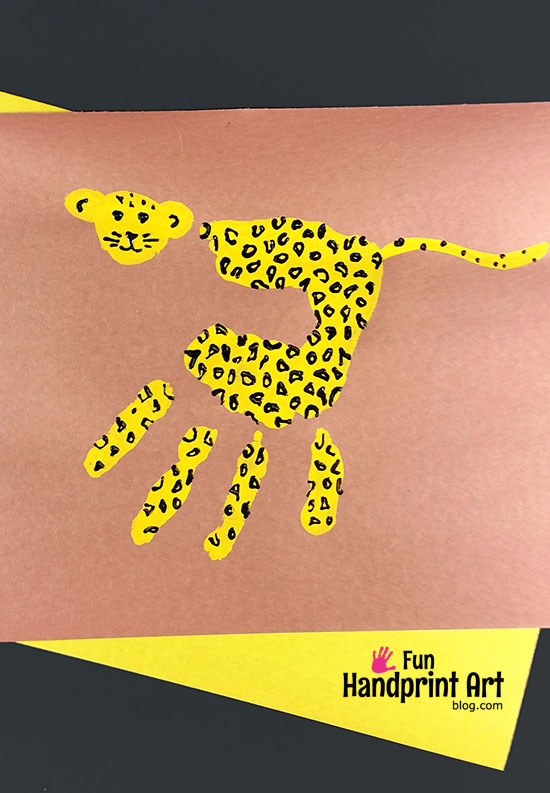 We hope your handprint cheetah craft turned out awesome! 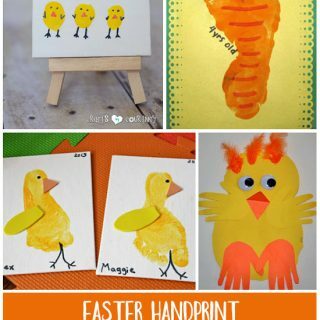 Feel free to continue on with the fun by making a handprint zebra and giraffe, too! Your jungle and safari animals collection will be an amazing collection to display. If you’re looking for party ideas, check out my son’s 1st birthday party which was a fun jungle safari theme. 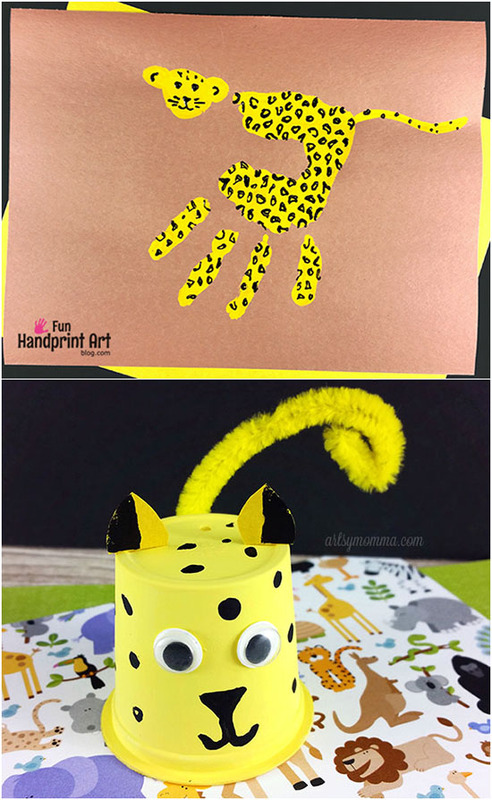 Hop on over to our other blog to see how to make the k cup cheetah.